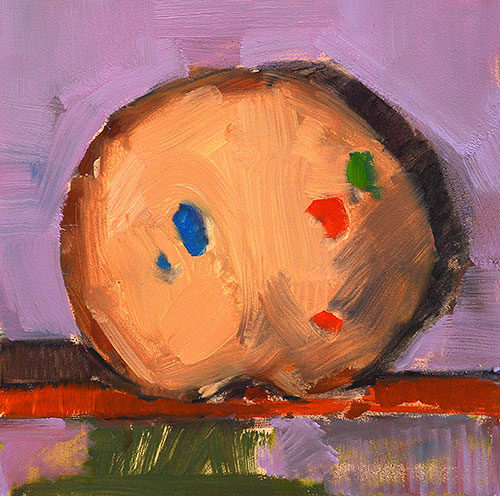 I guess it’s technically some kind of M&M cookie, with a very low M&M to cookie ratio. 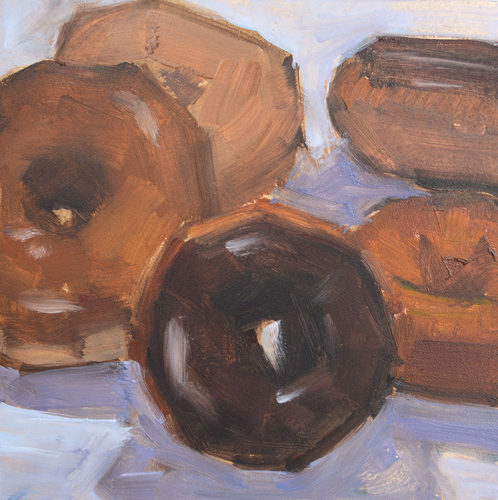 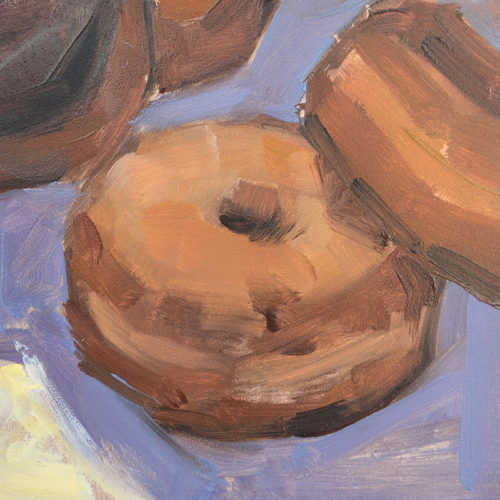 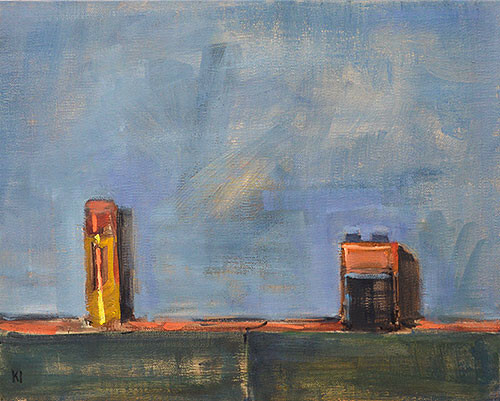 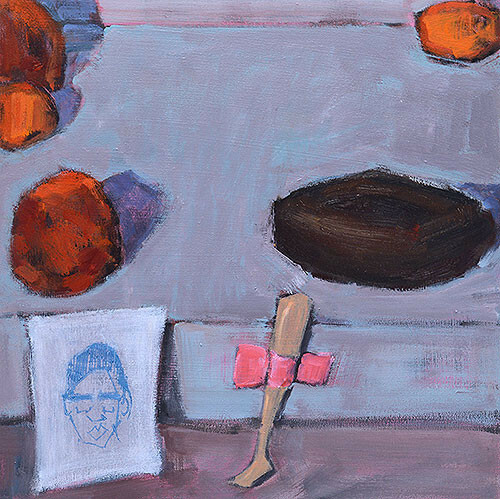 This entry was posted in San Diego Paintings, Still Life Paintings and tagged 6 x 6 inches, chocolate chip cookie, kevin inman, oil on panel, still life, still life painting on July 29, 2016 by Kevin. 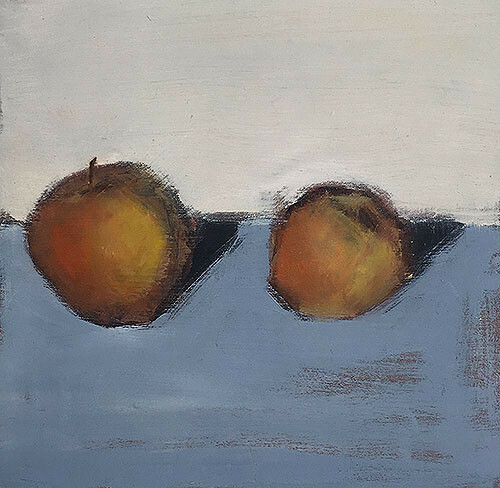 This entry was posted in Still Life Paintings and tagged 8 x 8 inches, apple, fruit, oil on panel, still life on March 23, 2016 by Kevin. 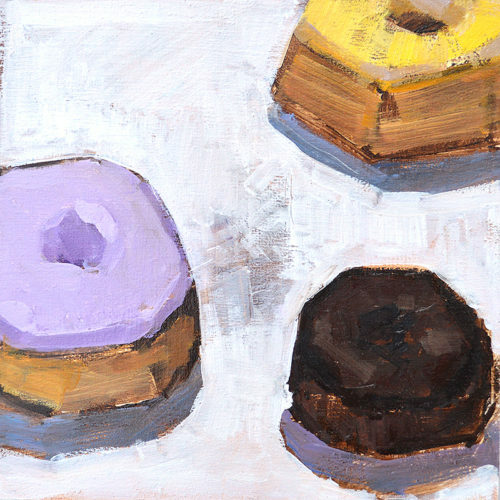 I’m always attracted to the pink pastries but they are practically impossible to paint since I don’t have the right colors. 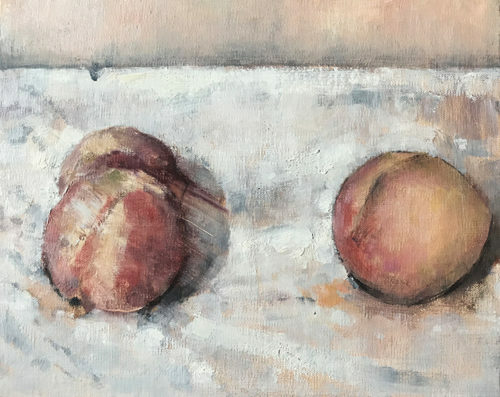 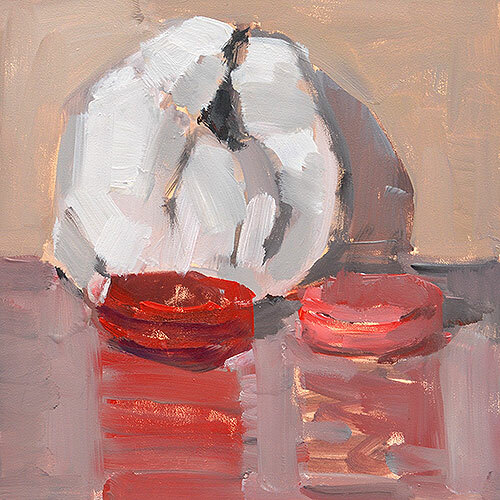 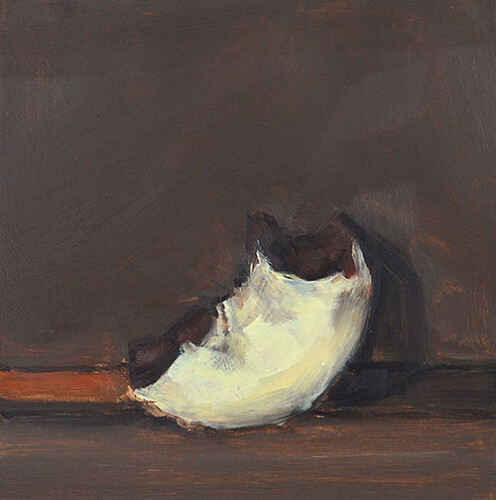 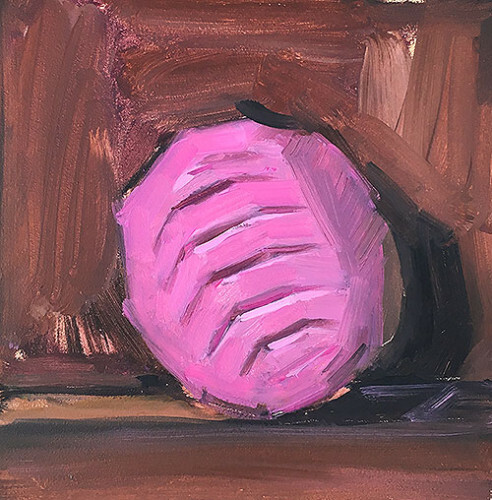 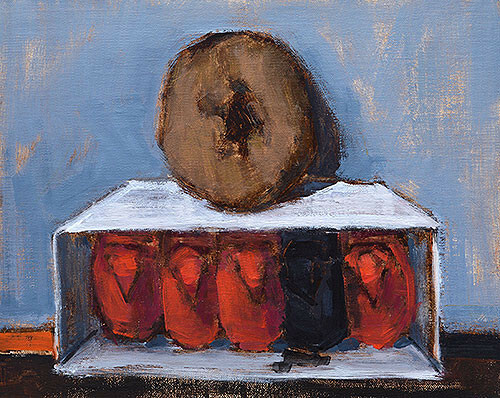 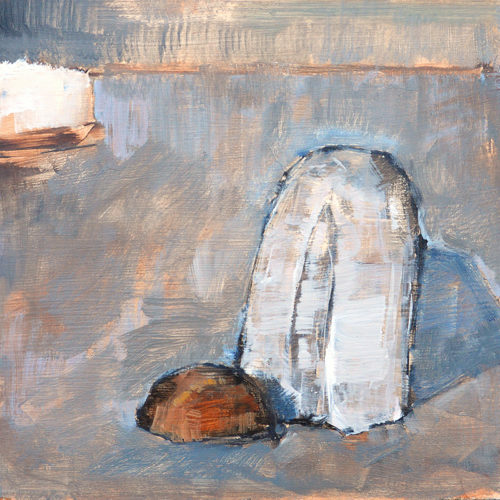 This entry was posted in Still Life Paintings and tagged 6 x 6 inches, concha, oil on panel, pan dulce, pink, still life on February 19, 2016 by Kevin. 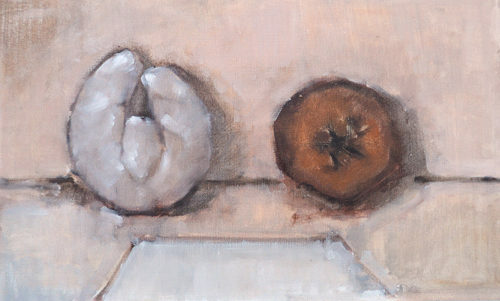 Sadly, my friends, after this painting the Turtlebread took a turtledive off the still life shelf and shattered. 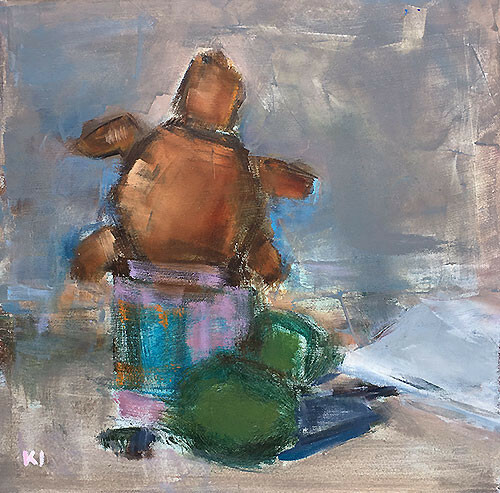 This entry was posted in Still Life Paintings and tagged 8 x 8 inches, limes, oil on panel, still life, turtle bread on November 17, 2015 by Kevin.